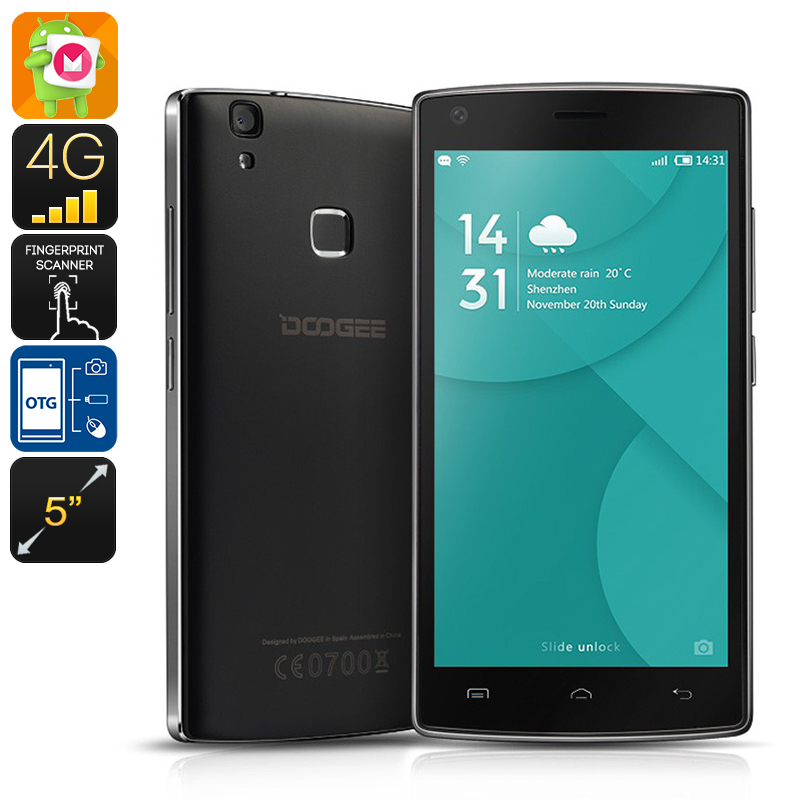 Successfully Added Doogee X5 Max Pro Smartphone - Android 6.0, Quad Core CPU, 2GB RAM, Fingerprint Sensor, 4G, 4000mAh Battery (Black) to your Shopping Cart. The Doogee X5 Max Pro brings all the features you will need at unbelievable prices and represents one of the best value for money smartphones on the market today. This 5 inch budget cell phone will is as friendly on the eye as it is the wallet and feels much sturdier than its minimal price tag would suggest. The sleek exterior is comfy to hold and accommodates the 5 inch screen well so there's very little wasted space, this keeps the phone slim and compact so it is easy to hold and use in one hand. supporting HD resolutions the bright screen delivers sharp images while economizing on power so you get longer viewing and usage times. Beneath its suave exterior is a MTK6737 quad core 64bit CPU and 2GB of RAM so its well equipped for movies games and all your other daily smartphone needs. With 4G connectivity the Doogee X5 Max Pro brings fast network coverage and having two SIM card slots and IMEI numbers allows you to connect to different networks or carriers simultaneously. Now managing home a business contacts or just avoiding roaming charges is straightforward. Offering the possibility to hold two SIM cards that, thanks to its dual-IMEI numbers, can be used simultaneously, you can be sure to be always within reach for your colleagues and loved ones. By using two SIM cards you turn this Android smartphone into a platform that is perfect to separate work and private life by using just one device. 4G connectivity additionally provides the fastest mobile network speeds out there, ensuring that you will always stay connected. The rear of the X5 Max smartphone houses a fingerprint scanner so you can secure all your work and contacts as well as increase security for mobile payments with hassle free biometrics. you can also program the phone to respond differently to your different fingers, unlocking the screen, loading apps or activating your camera providing you with a an intelligent way to enhance your user experience and save time. The Doogee X5 Max Pro comes with a 12 months warranty, brought to you by the leader in Chinese smartphones as well as wholesale electronic gadgets..